Search Engine Optimisation is based on your content and your keyword choice if you choose good keywords then you can easily make your blog or website SEO friendly, Search Engine Optimisation is walks around your targeted keywords in your posts content and your website meta description, every search engine will rank your website high when your content is full of keywords which are searched most, targeting keywords is not enough to get perfection in Search Engine Optimisation, to make your post most effective for Search Engine Optimisation you have to make a lot of effort in SEO marketing, in start you don't get result of your efforts but after sometime you see your seo efforts are working very dynamically​. 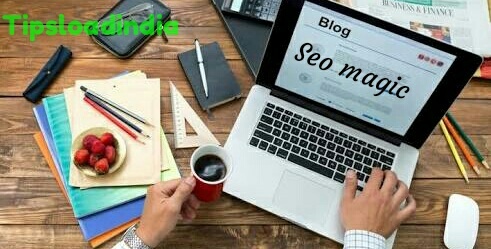 These all mentioned steps are biggest and most effective factors of seo in a website or a blog, if you want to rank high on search results than you should try these methods, to see the effect of these seo tactics please apply these all to your all posts on website. This website will tell you all data of searched keyword with compitition of word, you may download keyword report and also see suggestion of low compitition keywords. Webmaster is a tool to submit your website in search engines, setup of webmaster account is necessary for every new website or blog because if you don't submit your site to search engine , you don't get a single visitor from search engine, so to get visitors from search engine you have to setup a webmaster account and submit you URL in it, after submitting URL you have to do below mentioned steps which are important for get visitors from search engine. Open your browser and search for directory submission websites list, open and choose any website, fill your information and fill your URL in appeared page and submit, this process will also give you a strong backlink. Making more and more backlinks will boost your seo in every post and this will result in better ranking in Google search results. As we all know that social media is a great way to share feelings with all over the world so we can take advantage of social media in SEO of our blog, social media also plays important role in Search Engine Optimisation of your blog post, add all social media buttons in your blog or website to stay connected with the world, share your each blog post on several social media platforms for better response from visitors, more you share your post on social media more people will know about your blog and you get large number of visitors for free from social media networking, social media also works like a good backlink of your website which will increase your ranking in search engine results. A research says that a blog who is connected with social media will get success earlier than non connected blog or website. Google AdWords is a website where you can advertise with Google by paying a little money, Edward is it paid method to get a rank in Google search results if you need instant and high quality organic visitors on your website then you can use Google AdWords for visitors, just made a new campaign on Google Adword and pay for your advertisement then after your published campaign will appear in top of the search result for targeted keyword. Write a good and keywords rich description for getting a better rank in Google search results, use authentic and clear language in search description for target right keywords which actually match your content type, use most used search keywords in search description. Custom links in every post can help you in targeting desired keywords in your post, some peoples don't give any importance to their custom page links but they are making a big mistake because custom link is first priority of every new post, every search engine also Chrome page link before page title so to get ranked on search engine please write a reliable custom link of page, include keywords in custom link for better response from search engines, a good keyword page link also works like a solid backlink for your blog so give some time to engage your custom page links. Images seo is very helpful in making a blog post SEO friendly, every blogger use some pictures in each blog post but some of them don't optimise their properties which is a mistake in SEO process, we all know that Google send traffic to blog by several methods and images are one of them, you can be get traffic from Google through your images so don't ignore images, optimise your images before publishing post for good seo results, you can add caption of image and add some properties of images which will help you Search Engine Optimisation. Use only non copyright images in blog and add text keywords in image for more publicity. Some people have not information about this kind of seo but this thing can also effect your post SEO, this will not effect your blog seo directly but indirectly this can make differences, if you write a small blog post than it means there are less keywords and less content or page links which effect ranking of your blog post but at opposite side if you write long post then there are lot of keywords and more content is available for crawling which can rank you high in Search results, while writing long post must remember to include page links to get free reference to your other blog post. Your post tittle is very important for your blog post SEO, Every search engine crawls your page tittle before rank in Search results, use low compitition and mostly used keywords in your post tittle, you can easily get ideas of keywords from search results in Google but don't use same lines just take idea that how to use keyword in tittle, using low compitition keywords in tittle will give you instant response. The best way to rank your site on Google to page 1 is to drive a ton of traffic to it. I use One Stop Web Traffic for this and it's the best service for traffic to rank your site.